I didn’t know a lot about The Revenant going in. I think I had seen a teaser trailer a while back, plus a lot of posters of Leonard DiCaprio with snow in his beard. I was expecting some kind of survival story, a small band lead by Leo fighting off Native Americans and the oncoming winter. What I didn’t expect was the amount of gore. When the film’s certificate card says “strong, bloody violence” it isn’t kidding. The Revenant has possibly the most graphic violence of any film I’ve seen, at least as far the sheer number of gory effects shots. It was definitely several degrees worse than I’d expect from a film with a 15 rating. The film doesn’t revel in these moments, everything shown is used to show the harshness of survival or the inhumanity of man, but it should still have been an 18 in my book. Gore aside a lot of the film is very pretty. Most of The Revenant follows people on long journeys, and there’s some gorgeous scenery along the way. I also liked the depth given to the film’s characters, who are portrayed by a very strong cast. While old western movies might have painted Native Americans as savages, and newer movies might be tempted to show them as misunderstood, or better than the colonists, The Revenant takes time to show multiple groups with differing values, and humanises them, while still having the antagonistic tribe be dangerous and scary. This depth of character also extends to the film’s primary antagonist who, even though his morals and approach are clearly wrong, is believable, and I could understand why he was doing what he did. My biggest problem with the film though is that it’s a revenge story. Revenge as a motivation never really works for me unless there’s something more to it – like the antagonist is going to repeat their actions or is now in a position of power where they can cause more harm to more people, and taking them out will stop them spreading more evil. 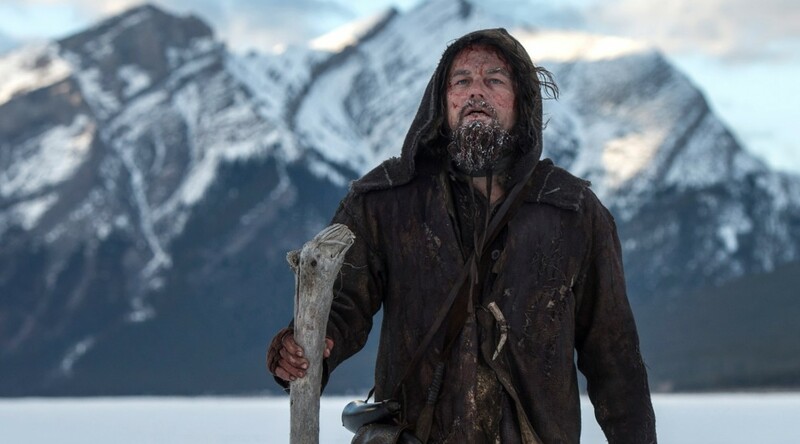 Spoiler warning, but The Revenant isn’t like that. Glass (Leo) has lost his wife before the film starts leaving him with only his son. After he almost dies and his son is killed, he has nothing left. And yet he drags himself through metaphorical hell, motivated only by the thought of revenge. I don’t buy this, especially for a man who frequently has visions of his wife, implying he believes he’ll be with her once he dies. The ending has him supposedly letting go of this desire for revenge, leaving it ‘in the hands of God’. There’s two problems with this. First he is still quite clearly sending Fitzgerald to his death. It doesn’t matter if he performs the killing blow or not, Fitzgerald is still going to die and Glass is responsible. And second, if he’s decided that he doesn’t need revenge after all, then what was the point of the film? He’s still lost his son, the only thing we’ve seen him care about, and he hasn’t gained anything. If he’d have let himself die would things have really been all that different? So, overall a well shot, well made film an surprisingly violence filled film with good characters but a plot that kind of undermines itself. Good, but not one I need to see again.